Indo-German Scientific Collaboration and Engineering Practices at IIT MadrasIn this project I explore Indo-German scientific and technological collaboration during the Cold War by examining the history of the Indian Institute of Technology (IIT) Madras. IIT Madras was founded and set up between 1956 and 1974 with the assistance of the Federal Republic of (West) Germany during an evolving development discourse. The history of the Indian Institutes of Technology has so far been understood as the import of an MIT-type institution into post-independent Nehruvian India that facilitated outsourcing and the rise of the Indian IT industry. The history of IIT Madras, however, reveals a different and more complex story. 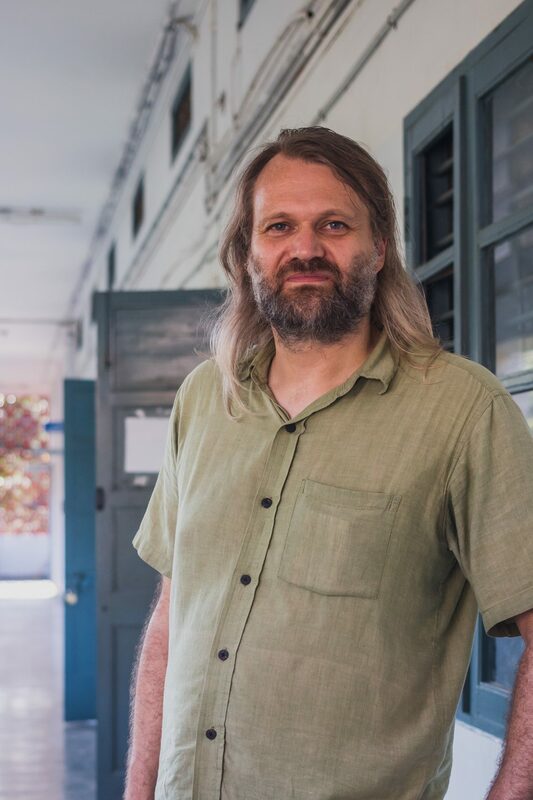 As part of the Indo-German agreement, a number of German experts joined IIT Madras as professors for the initial years to set up laboratories and engineering curricula, to supervise students and research scholars, and to establish a corresponding research agenda. A first generation of Indian faculty in return received their training in Germany. German ideas and practices of engineering education and research are manifested and materialised in laboratory setups and large amounts of German scientific equipment.How did the German professors think Indian engineers should be trained? How did German conceptions correspond to viewpoints and expectations of their Indian counterparts? How did Indian students, faculty and others experience the first decades of Indo-German collaboration? How did ideas and practices of engineering education and research unfold and transform in the Indian, or we might rather say in the local Madras environment? I trace the first generation of German experts, laboratory equipment and practices at IIT Madras and place them within concepts and practices of science and engineering education and research. As the Indian Institute of Technology (IIT) Madras turns 60 years old in 2019, historical files documenting teaching, research and administration, and the lives and activities of students, faculty and employees are in danger of disappearing and decaying if we do not act now. During a survey in 2017, conducted by Kumaran Sathasivam and myself, we found large amounts of archival material, much of it of great value for the history and heritage of IIT Madras as well as for the history of science and technology in general. Archival documents constitute a vital part of the heritage of IIT Madras and should be preserved and made accessible for historical research and the wider public. We envision the Historical Archive at IIT Madras not just as an administrative unit but as a vibrant hub that enrols a variety of academic fields and students in research and teaching projects.The inauguration of the Archive Project is scheduled as part of the 60th anniversary celebration if IIT Madras in 2019. In addition to the records of the central administration and the academic departments and centres, the IIT Madras Historical Archive will collect personal papers of professors and other key actors at IIT Madras. This will be done in collaboration with the oral history interviews that are already conducted by the IIT Madras Heritage Centre (http://heritage.iitm.ac.in/). German archives hold large amounts of archival material related to the establishment of IIT Madras and the different stages of the Indo-German collaboration. The archive documents in Germany will complement the documents in the Historical Archive of IIT Madras. History, Pedagogy and Practice of Arts and Craft Knowledge in South IndiaThis project seeks to develop the rationale, methodology and network for a comprehensive collaborative research project on the history, pedagogy and practice of arts and craft knowledge in South India in the colonial and postcolonial period. I am currently working with two research scholars at the institute, Thamarai Selvan and Madhu Narajan, as well as with Senthil Babu (http://www.ifpindia.org/senthil-babu-d) at the French Institute in Pondicherry.How do practitioners of arts and crafts make knowledge as they make things, work with different materials, and learn from each other in their workshops? How did these communities constitute themselves as knowledge practitioners in history and how have their practices changed over time, in relation to their craft, the social context they lived in and with the markets they produced for? How did work-embedded knowledge circulate within and among different occupations? Studies in the history of science and technology in India have often remained surveys of apparently long and continuous traditions through periods of glory and distress, but have rarely attempted a history of arts and craft as knowledge practices. We aim to go beyond the know-how to define history of arts and craft as knowledge, and ask for the know-why, a higher order reflection about practice. How does the place of work relate to distinct places of learning like the modern classroom? We would like to investigate practices of artisanal and craft occupations and their practitioners at work to see if such a distinction actually holds true in history. Working with proportions and ratios in wood, metal and stone implies not merely mechanical activity but a reflexive apparatus that allows for innovations. How do craft communities develop and incorporate new tools, objects and products for a changing social environment and market, along with new ways of training within workshops? This project hereby aims to study the practices of artisans and craft workers, historically, not in opposition to modern science and technology but to understand how the prism of practice informs us about both in their interrelation. Marlen Mouliou, Sébastien Soubiran, Sofia Talas and R. Wittje, eds (2018). Turning inside out European University Heritage: Collections, Audiences, Stakeholders. Athens: National and Kapodistrian University of Athens Press, 2018. R. Wittje (2016a). The Age of Electroacoustics: Transforming Science and Sound 1863 – 1939. Cambridge, Mass: MIT Press, 2016. For book click here. Laetitia Maison, Sofia Talas and R. Wittje, eds (2013). Shaping European University Heritage: Past and Possible Futures. Transactions of The Royal Norwegian Society of Science and Letters 2013/3. Peter Heering and R. Wittje, eds (2012a). Guest editors of the Thematic Issue: The History of Experimental Science Teaching, Science & Education 21 (2012): 151–270. Peter Heering and R. Wittje, eds (2011). Learning by Doing: Experiments and Instruments in the History of Science Teaching. Stuttgart: Franz Steiner Verlag, 2011. Bodil Børseth, Jon-Arild Johansen and R. Wittje, eds (2007). Etterklang – vitenskap, musikk og massemedia in elektroakustikkens tidsalder [Reverberations – Science, Music and Mass Media in the Age of Electroacoustics]. Trondheim: Tapir Uttrykk, 2007. R. Wittje and Ola Nordal (2005). Universitetshistoriske samlinger ved NTNU [University history collections at the Norwegian University of Science and Technology]. Forum for kunnskapshistorie – skrifter no. 4. Trondheim: Tapir akademisk forlag, 2005. R. Wittje (2003a). Acoustics, atom smashing and amateur radio – Physics and instrumentation at the Norwegian Institute of Technology in the interwar period. Dr.philos thesis at the Norwegian University of Science and Technology. Trondheim: NTNU Open, 2003 (http://brage.bibsys.no/xmlui//handle/11250/246169). R. Wittje (2016b). Concepts and significance of noise in acoustics: Before and after the Great War. Perspectives on Science 24/1 (2016): 7–28. R. Wittje (2013a). The Electrical Imagination: Sound Analogies, Equivalent Circuits, and the Rise of Electroacoustics, 1863 – 1939. Osiris 28: Music, Sound, and the Laboratory from 1750 to 1980 (2013): 40–63. R. Wittje (2013b). The Garching Nuclear Egg: Teaching contemporary history beyond the Linguistic Turn. Studies in History and Philosophy of Science A 44/4 (2013): 683–689. Per-Odd Eggen, Lise Kvittingen, Annette Lykknes and R. Wittje (2012). Reconstructing iconic experiments in electrochemistry: Experiences from a history of science course. Science & Education 21 (2012): 179–189. Peter Heering and R. Wittje (2012b). An Historical Perspective on Instruments and Experiments in Science Education. Science & Education 21 (2012): 151–155. R. Wittje (2007a). Nuclear physics in Norway, 1933 – 1955. Physics in Perspective 9/4 (2007): 406–433. R. Wittje (2004a). A proton accelerator in Trondheim in the 1930s. Historical Studies in the Physical and Biological Sciences 35/1 (2004): 115–152. R. Wittje (2018). Physikalische Akustik. In Handbuch Sound, edited by Daniel Morat and Hansjakob Ziemer. Stuttgart and Weimar: J.B. Metzler, 2018: 151–154. Wittje (2016c). Ferdinand Trendelenburg. In Neue Deutsche Biographie. Munich: Bayerische Akademie der Wissenschaften. Wittje (2016d). Kriterien für das Sammeln aus der Zeitgeschichte – Die Auswahlkriterien der Universeum Working Group on Recent Heritage of Science. In Zwischen Kellerdepot und Forschungsolymp: Dokumentation der Diskussionspanels der 7. Sammlungstagung vom 17. bis 19. September 2015 an der TU Bergakademie Freiberg und der TU Dresden, herausgegeben von Jörg Zaun und Kirsten Vincenz. Dresden: TU Dresden Kustodie. R. Wittje (2016e). Selection criteria for recent material heritage of science at universities. In Enhancing University Heritage-Based Research, edited by Gudrun Wolfschmidt. Hamburg: Nuncius Hamburgiensis, 2016: 273–276. R. Wittje (2011). Simplex sigillum veri: Robert Pohl and Demonstration Experiments in Physics after the Great War. In Learning by Doing: Experiments and Instruments in the History of Science Teaching, edited by Peter Heering and R. Wittje. Stuttgart: Franz Steiner Verlag, 2011: 317–348. R. Wittje (2010a). Reading Artifacts: Historische Sammlungen und innovative Konzepte in der Lehre [Reading Artifacts: Historical collections and innovative concepts in academic teaching]. In Universitätsmuseen und -sammlungen im Hochschulalltag: Aufgaben – Konzepte – Perspektiven, edited by Cornelia Weber and Klaus Mauersberger. Berlin: Hermann von Helmholtz-Zentrum für Kulturtechnik, 2010: 79–86. R. Wittje (2010b). XXth century scientific heritage at universities: Experiences and perspectives. In Patrimoine scientifique et technique – Un projet contemporain, edited by Catherine Ballé, Catherine Cuenca and Daniel Thoulouze. Paris: La documentation Française, 2010: 253–258. Sébastien Soubiran, Marta C. Lourenço, R. Wittje, Sofia Talas and Thomas Bremer (2009). Initiatives européennes et patrimoine universitaire. La Lettre de l’OCIM 123 (May – June 2009): 5–14. R. Wittje and Wolfgang Engels (2008a). What went on in the Laboratory? Replicating the Early Hertz Experiments. In Heinrich Hertz (1857 – 1894) and the Development of Communication, edited by Gudrun Wolfschmidt. Norderstedt bei Hamburg: Nuncius Hamburgiensis, 2008: 196–197. R. Wittje (2007b). Teknisk akustisk forskning i mellomkrigstida [Technical acoustics in the interwar period]. In the exhibition catalogue Etterklang – vitenskap, musikk og massemedia in elektroakustikkens tidsalder, edited by Bodil Børseth, Jon-Arild Johansen and Roland Wittje. Trondheim: Tapir Uttrykk, 2007: 22–31. R. Wittje (2006). The foundation of N.T.H. in 1910 in international context. In Perspectives on Scandinavian science in the early twentieth century, edited by Reinhard Siegmund-Schultze and Henrik Kragh Sørensen. Det Norske Videnskaps-Akademi I. Mat.- Nat. Klasse, Skrifter og avhandlinger Nr. 1. Oslo: Novus forlag, 2006: 111–132. R. Wittje (2004b). The use of centrifuges and ultracentrifuges in medical, chemical and microbiologic laboratories – A short history. Bulletin of the Scientific Instrument Society 81 (2004): 20–25. R. Wittje (2003b). Centrifuge and ultracentrifuge. Published in The Oxford companion to the history of modern science, edited by John L. Heilbron. Oxford: Oxford University Press, 2003: 135–136. R. Wittje (2002). Local factors of the Van de Graaff generator project at the Norwegian Institute of Technology in the mid 1930’s. Proceedings / XVIII International Scientific Instrument Symposium, Moscow-St. Petersburg, Russia, 20 – 25 September 1999. Moscow: Scientific Publishing Center “Engineer”, 2002: 131–145. Haakon Olsen and R. Wittje (2001). Kjernefysikk i Norge – Arven fra Johan Holtsmark og Roald Tangen [Nuclear physics in Norway – The legacy of Johan Holtsmark and Roald Tangen]. Fra Fysikkens Verden 63/1 (2001): 22–24. R. Wittje (2000a). On the beginnings of nuclear physics in Norway – The Van de Graaff proton accelerator at the Norwegian Institute of Technology in the 1930s. Det Kgl. Norske Videnskabers Selskabs Forhandlinger 2000: 166–180. R. Wittje (2000b). Heinrich Hertz und die Einbettung von experimenteller Tätigkeit in theoretische Konzepte [Heinrich Hertz and imbedding experimental practice in theoretical concepts]. In Instrument – Experiment: historische Studien, edited by Christoph Meinel. Berlin, Diepholz: Verlag für Geschichte der Naturwissenschaften und der Technik, 2000: 180–191. Wittje. Karl Willy Wagner. In Neue Deutsche Biographie. Munich: Bayerische Akademie der Wissenschaften. R. Wittje and Wolfgang Engels (2008b). Replicating the Early Hertz Experiments – Experimental Lecture. Part of the documentary film Allein mit der Natur – Heinrich Hertz: Experiment und Theorie, produced by Agnes Handwerk and Harrie Willems. DVD, self- published by Agnes Handwerk (ahandwerk@gmx.de). R. Wittje (2016f). Paired book review: Silke Fengler and Carola Sachse (eds). Kernforschung in Österreich. Wandlungen eines interdisziplinären Forschungsfeldes 1900–1978, and Silke Fengler. Kerne, Kooperation und Konkurrenz. Kernforschung in Österreich im internationalen Kontext (1900–1950). Isis 107/3 (2016): 666–668. R. Wittje (2014). Book review: Chen-Pang Yeang. Probing the Sky with Radio Waves: From Wireless Technology to the Development of Atmospheric Science. Isis 105/3 (2014): 665–666. R Wittje (2013c). Book review: David Pantalony. Altered Sensations: Rudolph Koenig’s Acoustical Workshop in Nineteenth Century Paris. Annals of Science 70 (2013): 131–133. R. Wittje (2010c). Book review: Klaus Hentschel (Editor). Unsichtbare Hände: Zur Rolle von Laborassistenten, Mechanikern Zeichnern und Amanuenses in der physikalischen Forschungs- und Entwicklungsarbeit. Isis 101/1 (2010): 196–197. R. Wittje (2008c). Book review: Myles W. Jackson. Harmonious triads: physicists, musicians and instrument makers in nineteenth-century Germany. Nuncius 23/1 (2008): 177–178. Falk Müller and R. Wittje (2001). Book review: B. Finn (ed). Exposing Electronics. The British Journal for the History of Science 34/4 (2001): 480–481.